Sure, Miami has its share of big box stores but it also has plenty to offer shoppers looking for unique pieces from one-of-a-kind beach accessories and swimsuits to funky jewelry, custom stationary and well-curated selections of world pieces culled from Latin America and West Africa. Below, our favorite indie shops in Miami. 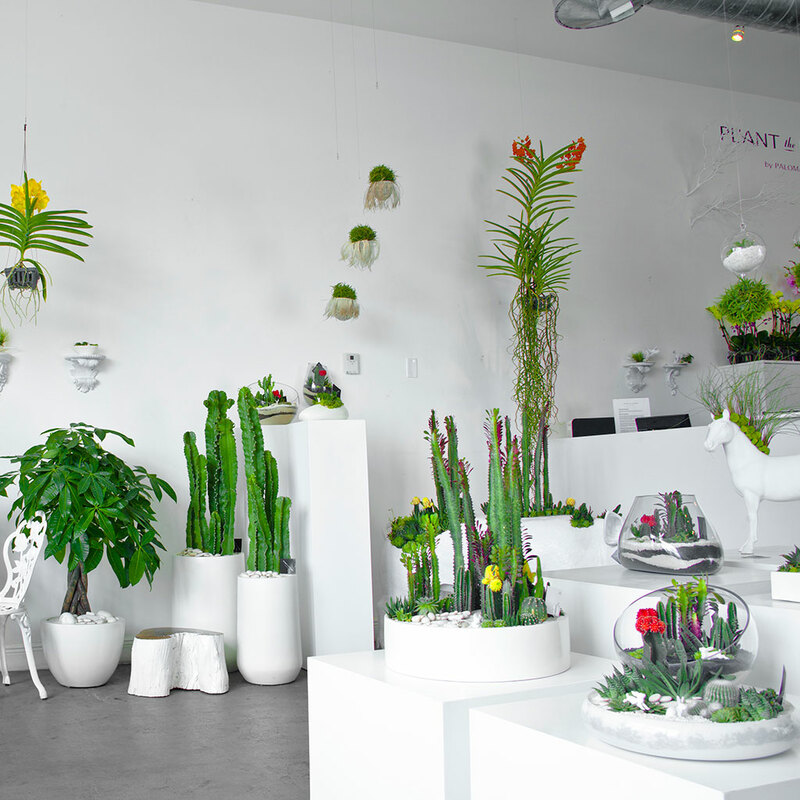 In Wynwood Arts District, you won’t find one generic item inside the creative green hub of founder Paloma Teppa’s sanctuary of succulents, air plants and orchids that would make director Tim Burton proud. Make your own terrarium or insist the artistic visionaries create something bound to make your room and mind pop. Carrying an eclectic, one-of-a-kind, mix of West African fashion pieces, textiles and photographs, this small boutique is a visual treat. Part art gallery and part concept store, the eco-friendly shop works to promote African artists and stocks great gifts including KIM dolls, beach bags and baskets. A Wynwood shop that blends luxe, high-end Latin American goods like jewelry, clutches for the nights and swimsuits perfect for days around the pool or at the beach. There’s also a collection of fun, embellished accessories to help you fit in perfectly with the South Beach social milieu. Functioning as an upscale jewelry and lifestyle store, this funky cult brand with a few US locales, is known for its edgy collaborations. Sift through one-of-a-kind pieces as well as the on-site art gallery featuring up and comers. Outside you can’t miss the living plant wall situated in a gorgeous entryway with a tranquil courtyard. Walk slowly. Inside Lowell’s hotel, expect a mix of bikinis, beach garb and chic apparel at this bright boutique including Finders Keepers and Cameo by local favorites Indah and Wildfox. For the gents, this menswear shop takes it cue from classic military and Americana aesthetics, deviating from the standard “Miami look,” with rugged-chic apparel from names like Filson and Red Wing Shoes and heritage brands like Levi’s. This custom stationery shop, owned by a husband and wife duo, stocks its shelves with smart letterpress notecards (think labels like Haute Papier and Rifle Paper Co.) and desktop accessories including leather bound notebooks, travel cocktail kits, fountain pens and assorted matchbooks. Inside Hotel Croydon, Wanderlista is a mix of globally sourced items from Greece to New York with brightly accented accessories and jewelry and a mix of high-end clothing.